San Cristóbal Cancer Institute is a new alternative for cancer care in Ponce, offering the most advanced technology in radiotherapy, and imaging, as well as a dedicated, fully accredited medical staff, laser-focused on providing the best service for optimum patient outcomes. Through specialized techniques and welcoming facilities, our center is a safe haven for cancer patients and their families and caregivers, providing holistic care and long-term wellness. 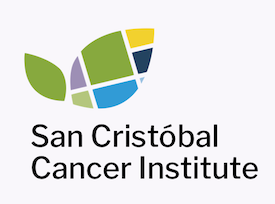 © 2019 – Grupo San Cristóbal. Web Design by DCE Clarity.